Thank you, come again! That’s what us Brits have been wanting to hear as we take our squishee out of the Quick-E-Mart for years. 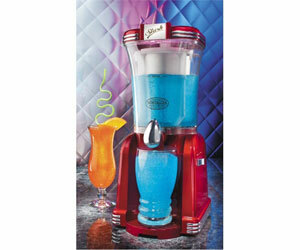 Alas squishee/slushie drinks are very hard to find in UK convenience stores these days, well no longer! Make them at home. Who hasn’t got enough things on their heads these days? Headphones, hat, glasses, scarf. The list goes on (well to a point). Well now you can combine the first two. That’s right. 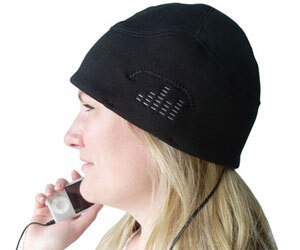 Headphones in a hat keep your head warm, look cool & you can listen to music all at once. 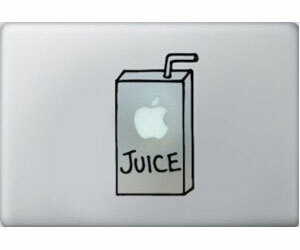 Once upon a time just the sight of a glowing Apple on the back of your laptop was enough to make you stand out from the crowd. These days, you are the crowd i’m afraid, so time to stand out again! There’s pretty much nothing as iconic of British geekyness than the classic ZX Spectrum… the loading sound, the rubber keys and of course the looks! 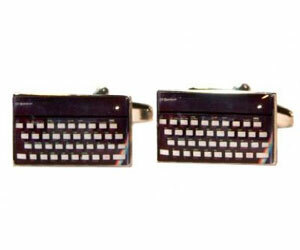 If you remember typing games into one of these, then grab the cufflinks now to keep the love alive! 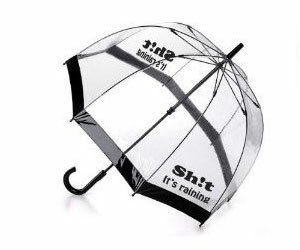 We’ve all thought it, we’ve all said it, so now let your umbrella do the talking for you and let everyone know how you feel about the glorious British weather! It’s a dome umbrella too, so less chance of rain in your face. 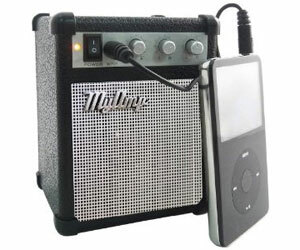 Feeling that your iPhone (or indeed any MP3 player) is lacking a bit of rock & roll? 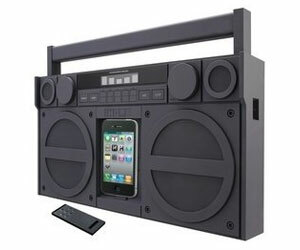 Then why not plug it into this awesome guitar amp speaker and whack the volume all the way up to 11! Rock-on! When most people think of slippers they imagine old men, pipes and sleeping. 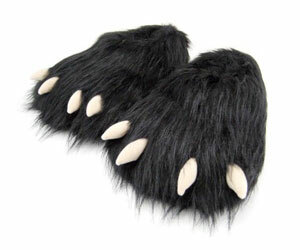 Let’s knock that image out of the way with these cool monster claw slippers. 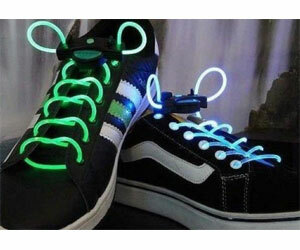 Even Homer Simpson owns a pair – that’s enough endorsement for us! 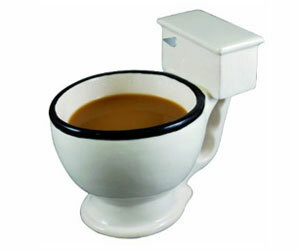 Your coffee at work may taste like toilet water, so why not give it the look as well? For your favourite hot beverage or pretty much anything that can fit in a mini-toilet bowl (think smarties, mini candles, etc.) – just thinking makes me go all flush. Do you have people constantly ‘borrowing’ your possessions at work? Maybe putting your stapler in jelly? Well don’t get mad – get even don’t let it happen in the first place! 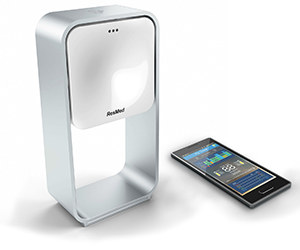 Place your valuables on this pressure pad and let it warn you if anyone touches them! Like Pacman? Like Condiments? Well then have we got something for you! 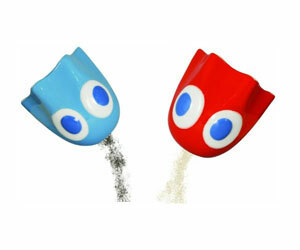 These cool ghosts (Blinky & Inky to their friends) salt & pepper shakers have got a great retro 80s gaming feel. Run and run as fast as you can, you can’t catch me I’m the ninjabread man! Why settle for boring old gingerbread men when you can eat these awesome ninjas! 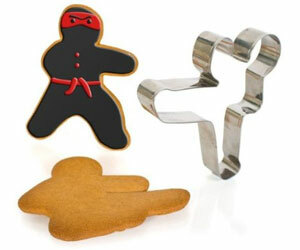 These 3 cookie cutters features a trio of ninjas in full flight. Cut out the wicked warriors, then amuse yourself by disarming them with your teeth. 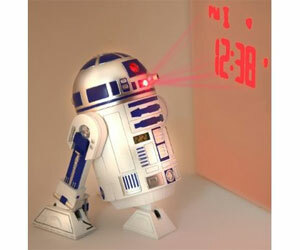 “Help me Obi-Wan Kinobe, you’re my only hope” – ok so you won’t be hearing this from this cool R2D2 look-alike, but he will be projecting the time on your bedroom wall and making droid sounds when the alarm goes off (*C3PO not included for droid sound translations). 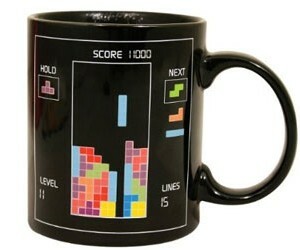 I can hear the Tetris music now just writing about it. The game that defined the GameBoy (well mainly because it came with it) is a video gaming icon, and what better way to show your passion than with this cool heat change mug! 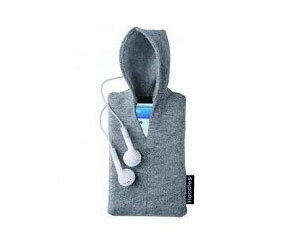 If you’re at home in your hoodie, and wear your hood up even if it’s 30 degrees outside, then why not treat your phone to the same look? 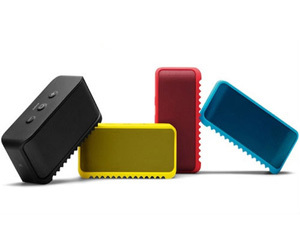 Looks aside, the soft cotton material protects your gadget from scratches and damage and it fits a wide array of gadgets. 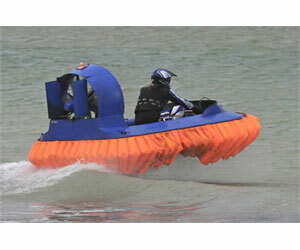 Let’s face it, who doesn’t want a hovercraft? Neither land nor water can stand in your way! Plus they go pretty fast, and with a cushion of air not even a bumpy road can slow you down! This is obviously what Mendeleev had in mind when he drew up the periodic table in 1869. Show your love for all things elemental, or simply cheat in that chemistry test. 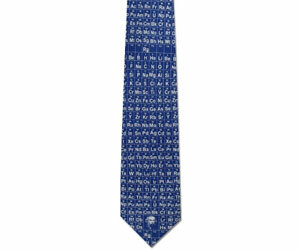 Whatever uses you have in mind, this tie will get a good reaction from anyone who sees it. Are you reading this at the top of a hill? Need to get to the bottom of the hill? And want to have fun while you are at it? 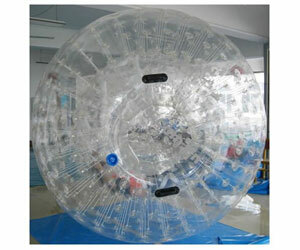 Then meet the zorb ball! 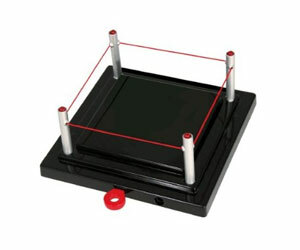 Up till now you had to pay per go on these at specialist locations, but buy this and it’s all zorb all the time! If there is one thing we can be sure of in the UK, it’s that it will rain… a lot. 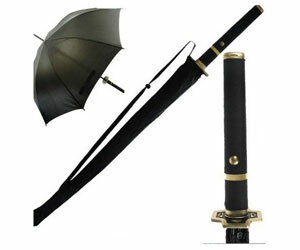 So if you’re going to have to carry an umbrella around, don’t look like you are on your way to a golf game, look like you’re on your way to a Samurai showdown. 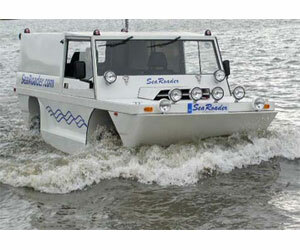 Fully road legal and approved for use on all UK inland waterways – that’s right it’s an amphibious car! Proper James Bond style – why let water stand in your way when you can just power through and laugh at the puny mammals stuck back on land. 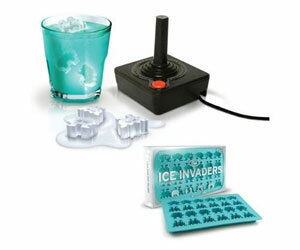 Blip Blip Blip and all that, the space invaders who terrorised video games in the 1970s are back – in ice cube form! 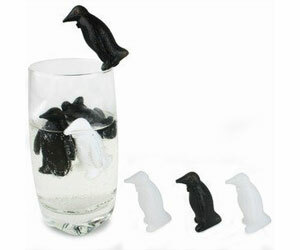 Perfect for any retro gaming fan, or in fact any fan of cool drinks. 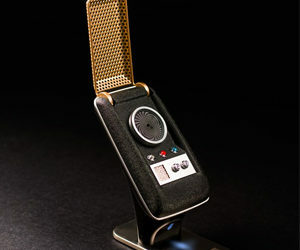 (* please note 80ss joystick not included – but it would only get wet). Can’t get enough of that wonderful Duff (or any other beer or drink for that matter)? A Fan of the Simpsons (who isn’t)? 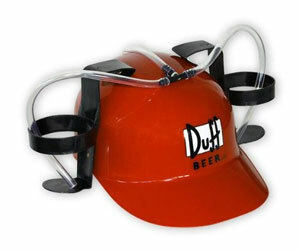 Well then sounds like you need the Duff branded ‘foam dome’ as sported by none other than Homer himself on a number of occasions. 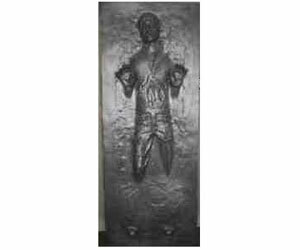 Luke I am your lather… Okay not the best joke ever, but then i’m no Jedi. Not because I can’t feel the force flowing through my veins, but because I don’t fit the dress code. 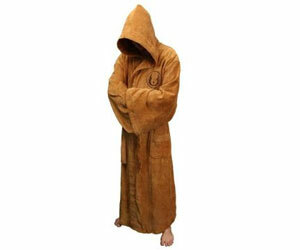 Don’t fall to the dark side like me, use the force and grab yourself one of these before the empire blocks all sales. 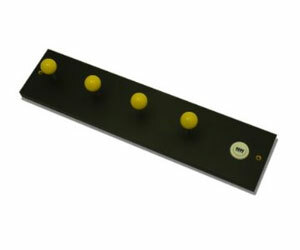 If you have fond memories of playing games with an old-school arcade joystick (or if you still are), and you also own a coat, then why not combine your two passions into one cool functional retro arcade themed coat hanger! 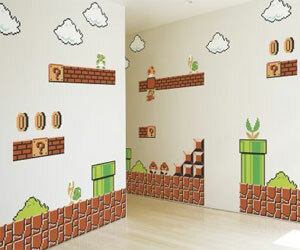 1up from us! 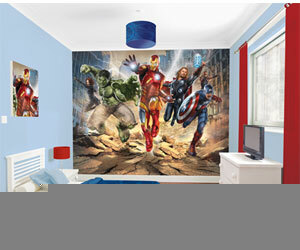 Why make your visit to the toilet just ‘bog standard’ when you could be sitting on the throne in style! 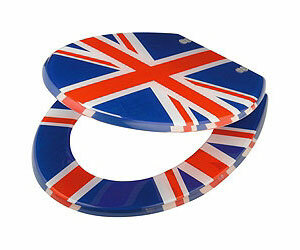 Easy to fit and comfortable to sit, what better way to show your British pride! Let’s face it, everywhere you turn people have iPhones these days. 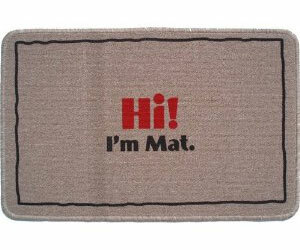 So why not stand out from the crowd? What better way than sending your phone storming into the past into a time before MP4, MP3 or even DVD! 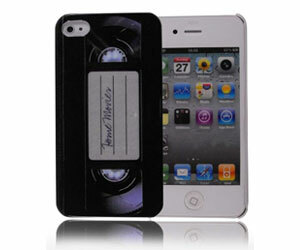 This slick VHS iPhone cover gives you a cool retro look & protects your phone.